One of the major contributing factors to stress is a definite lack of sleep. Whilst some people find that stress makes them sleep more, many suffer with sleeplessness as a result of continued stress. Over time, a lack of sleep has health implications of its own, so it’s imperative that we tackle an inability to sleep in the best way we know how – with great beds. Creating an environment that you can look forward to relaxing in can really help promote the recommended eight hours of sleep, and we strongly feel that relaxation and comfort begins with understanding how to get the very most out of your bed. Your perfect sleeping environment is unique to you. You might find that how you sleep best is really different to others you’ve spoken to – but that doesn’t matter. What matters is ensuring your bedroom is conducive to your sleep, and this begins with the bed itself. Firstly, you might have to ask yourself about the size of your bed. Do you feel confined and rather have more room to spread out? If so, you might benefit from investing in a queen, king or even super king size bed. On the other hand, you might find that having too much space is a subtle cause of anxiety, and that you might benefit from the feeling of being a little more enclosed. For this, you could consider a double, or even a single bed. The same is true when you’re deciding on the style of the bed. 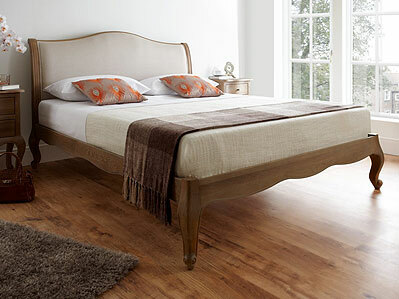 Soft upholstered beds can really add another degree of comfort into the sleeping area, and wooden beds can provide a footer as well as a header to help with the sensation of feeling enclosed. The materials used to make the bed can make a difference to your sleep, too. Would you prefer cool metal bars or solid wood for your headboard? Be sure to look at all the options – you might be surprised at how just investing in a new frame can change your subconscious perception of sleep! A bed without a mattress is a bit like a sandwich without any filling. The bread might look great, but there’s no substance! It’s so important to ensure you invest in the right mattress, as selecting the right one could make the difference between a healthy amount of sleep and not enough, as well as help with more physical health issues like back pain. Not only do you have to consider the firmness, you also have to look at the materials and behaviour of the mattress to ensure that you’re sleeping on what’s best for you. Unless specified otherwise, the majority of standard mattresses are traditionally open coil sprung. Whilst for many, these are supportive enough, there are more developed options available to ensure that you’re as comfortable as possible when sleeping. Pocket spring mattresses are considered the next step up from open coil sprung options, and are a great option if you’re sharing your bed with another and there’s a noticeable size difference. You’ll find that a pocket sprung mattress will minimise the risk of rolling into each other in the night as the springs work independently from each other, supporting each person separately. If extra support is something that you really feel could help improve your quality of sleep, it might be worth your while to look into a Memory Foam or Latex mattress or mattress topper. These mattresses mould themselves around the warmth of your body, effectively giving you support where ordinary mattresses can’t. If you struggle with back pain as well as stress, you might find your mental and physical wellbeing dramatically improves with an orthopaedic mattress. 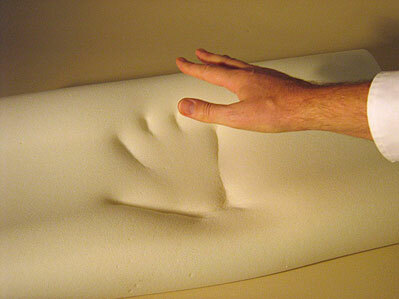 These are typically firmer than standard mattresses to help with back and joint pain, but can also be pocket sprung. Hopefully, by selecting the mattress that best suits your needs, you’ll create a space that’s designed for your comfort, and ultimately help you on your way to a better night’s sleep. Once you’ve sorted the perfect bed and mattress, the last layer of relaxation you need to worry about is the bedding. Do you feel cold when you sleep, or wake up boiling? Knowing the answer to that question will help you select the right tog rating with your duvet. To ensure you’re as cosy as can be, quality sheets can make all the difference. Buying Egyptian cotton might seem like an investment, but decent cotton sheets wash much better than cheaper versions. As for the patterns, well, this is a chance for you to truly personalise your sleeping environment, but be sure to stay subtle. Bright colours and patterns can be stimulate your brain – and that’s not conducive to a good night’s sleep! Hopefully, by looking at your bed and making the most out of it, you’ll be able to truly appreciate how restorative sleep can be, leaving you well rested and able to deal with whatever stresses come your way the next day. Having a bad night’s sleep is something many people will be familiar with, but when this continues for more than a few nights, it can start to take a toll on your general wellbeing. When you’ve reached the end of your tether, and you just need one solid, quality night of uninterrupted sleep, stop thinking about the things you can do to help sleep, and look at the things you can avoid. It’s great to get a good night’s sleep, but it’s even more important to sleep on a regular and consistent schedule to reduce stress.